"It's hard to be a Christian in America," writes Jonathan Wilson-Hartgrove, a leader in the new monasticism movement in America, a growing group of committed Christians who are living lives of radical discipleship. However, the movement doesn't mirror traditional monasteries--many members are married with children and have careers, yet they live differently, often in community in once-abandoned sections of society. "Monasticism isn't about achieving some sort of individual or communal piety. It's about helping the church be the church," Wilson-Hartgrove writes. A must-read for new monastics or those considering joining the movement, this book will also appeal to 20- and 30-somethings, pastors, leaders, and those interested in the emerging church. New Monasticism by Jonathan Wilson-Hartgrove was published by Baker Book House USA (Brazos Press) in June 2008 and is our 24535th best seller. The ISBN for New Monasticism is 9781587432248. 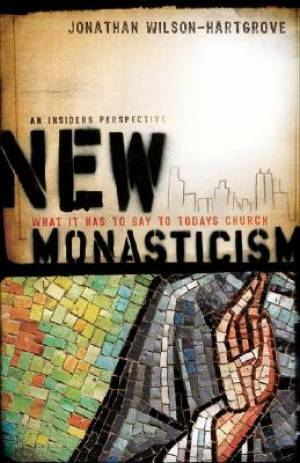 Be the first to review New Monasticism! Got a question? No problem! Just click here to ask us about New Monasticism.